Henrik Stenson made the turn in the second round of the Arnold Palmer invitational with a two-stroke lead after going level par on his front nine. 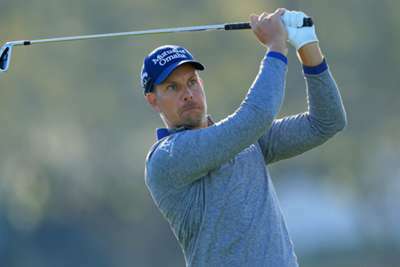 Stenson was flawless in going down the Bay Hill course's back nine in regulation, maintaining his composure as Aaron Wise and Talor Gooch, who trailed him by a stroke after 18 holes, faltered at the start of their second round. They each went bogey-bogey on the first two holes, though Gooch did somewhat redeem himself with a gain at the par-five fourth. Gooch was six under through four, level with Rickie Fowler, who responded after a bogey at 11 with birdies at 16 and 17 to make the turn in 35, and Bryson DeChambeau (six under through seven) two strokes off the pace. Rory McIlroy was a shot further back after making birdie at 13 and 15, completing his front nine in 34. Tiger Woods, backing up his tied-second showing at the Valspar Championship with another so far strong showing in Florida, starts his round at 13:08 (local time).